I love all kinds of food, but there are some days that I actually crave salad. This is another one of my favorite ways to use leftover chicken and one of my favorite salads of all time. This makes a wonderful, quick lunch. If you don’t have leftover grilled chicken, it takes no time to grill one or two breasts. When I only need enough for one or two people, I like to use my sandwich maker. A George Foreman grill would work just fine as well. Just drizzle the chicken breast with a little olive oil, throw on some seasonings, grill, and it’s ready to go. Add orange juice, balsamic vinegar, honey, Dijon mustard, olive oil, and black pepper to a small mason jar with a tight-fitting lid and shake until well-combined. If you don’t have a one, you can use a small plastic container. Just be sure the lid fits well. Store in the fridge until ready to use. This makes enough for one salad. Slice chicken on the bias and place on top of mixed greens. Sprinkle cranberries, pecans, and feta on top. Shake the dressing, and pour evenly over top of everything. You can use the Mandarin oranges as a decorative garnish (like pictured) if desired or you can just place as many as you like on top of the salad. This is truly a beautiful salad, both in appearance and taste. 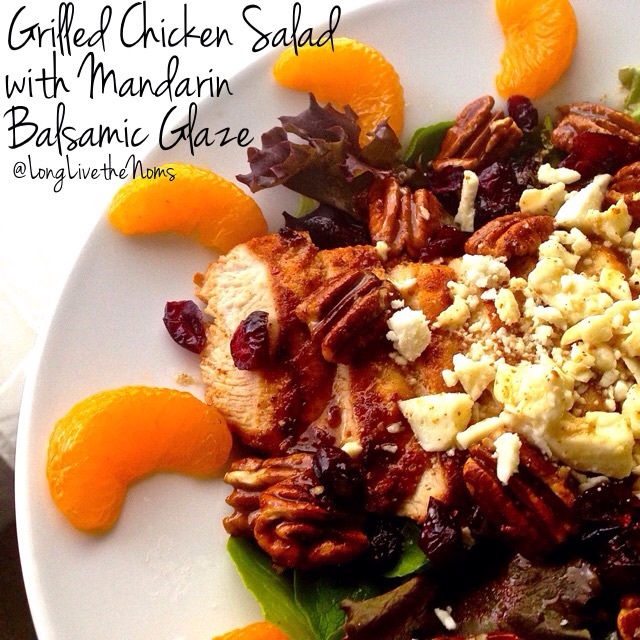 The sweet and tangy flavors work so well together and the contrasting colors are just lovely. I use canned mandarin oranges (with no sugar added, packed in their own juice) just for simplicity’s sake, but you can definitely use fresh oranges if you’d like. This salad is so refreshing and healthy. I’ve even had this for dinner many times when I’m looking for something quick and easy. 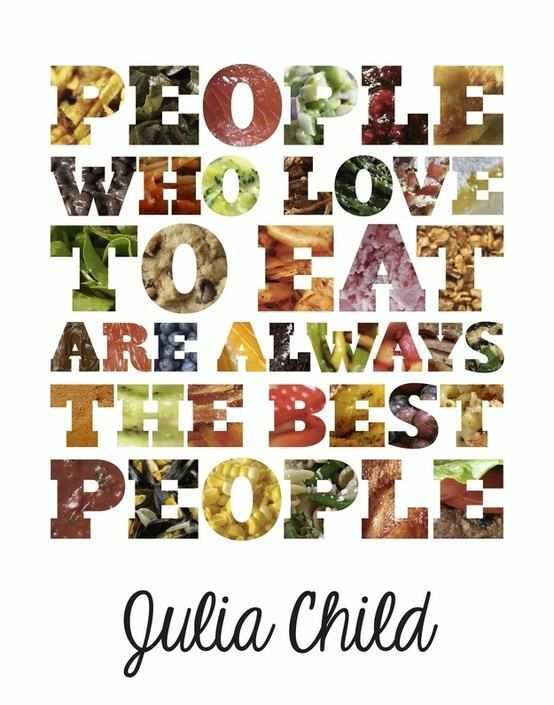 What are your favorite salads, toppings, or dressings? Let us know in the comments. 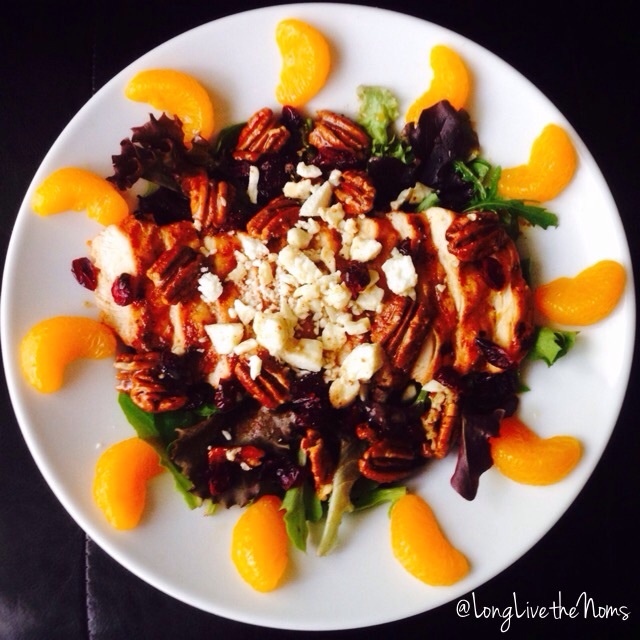 Posted in Leftover Ideas, Lighter Options, LunchTagged balsamic, chicken, cranberries, easy recipes, feta, healthy eating, honey, leftover chicken, lighter options, lunch ideas, oranges, pecans, saladBookmark the permalink.